As with all good festivals, the Middlesbrough Jazz Weekender utilised more than one stage to establish a sense of occasion - step out of one hall and there, in an adjacent room, another session was underway. Saturday, the middle day of three, presented two top class performances in the old fire station, now beautifully restored thanks to oodles of cash being thrown at it. 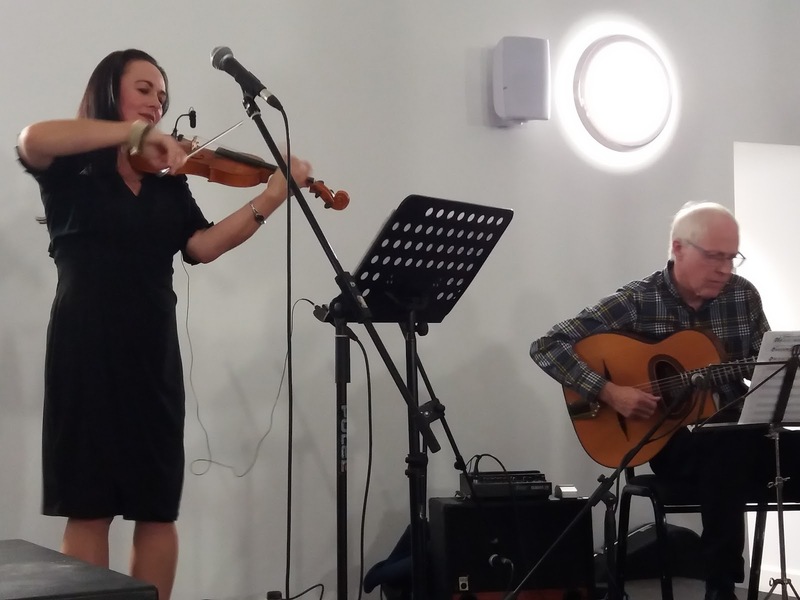 A box office banker of a duo - James Birkett and Emma Fisk - entertained a full to overflowing Fire Station crowd. Dinah (no, there isn't anyone finer), the Venuti-Lang Hot Four's Kicking the Cat and Birkett's paean to fellow guitarist Eddie Lang, this was world class stuff. Ain't Misbehavin', Cheese and Crackers and an exquisite reading of I'm Confessin' - Town Hall patrons could have listened to Birkett and Fisk all night but all good things come to an end, on this occasion, just in time for the audience to make its way to the main hall to hear Chris Barber. Violinist Emma Fisk, playing with her usual elan, and master guitarist James Birkett on top form sent us on our way with a swift take on Lady Be Good. Earlier, Roly Veitch, Noel Dennis and Neil Harland had set the ball rolling. They work together on an occasional basis. The Great American Songbook is their thing, and few, if any, do it better. Guitarist Veitch is the man who has kept the GASbook flame burning on Tyneside for something like thirty-five years and from time to time he meets up with Teesside's own trumpet maestro Dennis and the always in demand bassist Harland to play a few tunes penned by the great composers including Irving Berlin, Cole Porter and the Gershwins. Alone Together, for starters, in a rapidly filling room, Stella by Starlight (played at Blaydon Jazz Club on countless occasions) and then the Gershwins' But Not for Me featuring Roly's Chet Baker-ish vocals. The white-walled Fire Station's retro-chic sofas (60s Scandinavian-style?) were all sat upon as the next main hall concert loomed with the Roly Veitch Trio playing another gem - Beautiful Love.